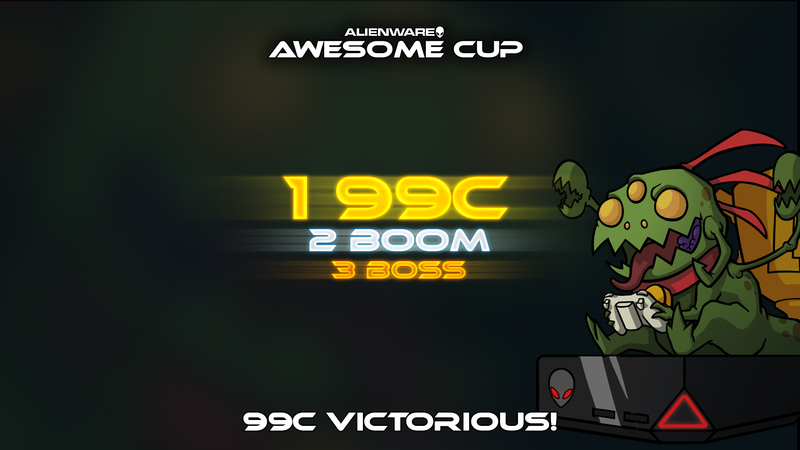 99c is the Alienware Awesome Cup Grand Champion! The Awesome Cup is over for this time around and the International mix of 99 Cents is the winning team, taking home three Alienware Alphas as well as some additional cash. After going through the winner bracket, 99 Cents kept up their dominating streak and conquered the championship title, only losing one game of the whole tournament. It was Team BOOM who managed to take the sole game victory over the champions, finishing in second place. Despite their name, 99 Cents proved to be worth a lot more. Their core strategy revolved around Froggy G, Coco as well as a tankier crowd controller such as Skolldir or Scoop. It proved to be a winning strategy as the bracket can show. VODs and replays of the playoffs games will available here at the Awesome Cup site in a few days. Finals bracket can be found here. All teams finishing first to eight also earned 15 copies of Awesomenauts as well as three copies of Costume Party 2 each. Winning teams will be contacted with further information regarding prizes. Ronimo Games would like to extend special thanks to Alienware, ESChamp, GosuGamers, SlowWolf and Four Court Jester and to everyone who participated in the tournament and the qualifiers!